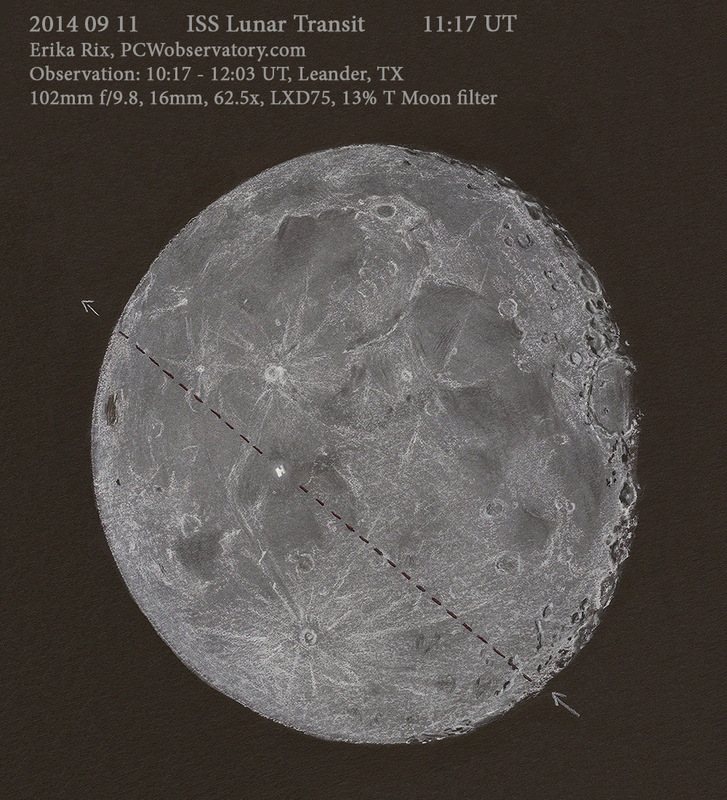 PCW Memorial Observatory - Erika Rix | Having fun exploring our universe! The Astronomical League is a valuable resource and provides numerous observing programs for their membership to encourage an interest in astronomy. 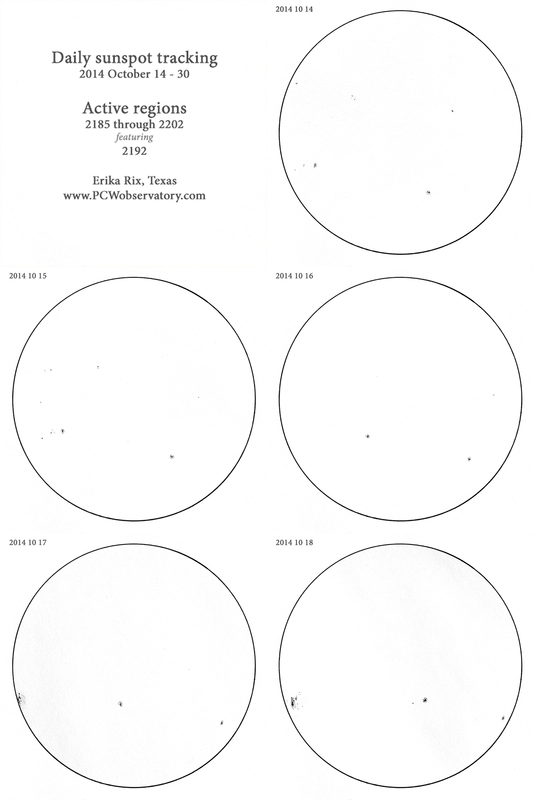 Just last year, they added the Sketching Observing Program to the list, helping members to hone their observing skills by rendering the eyepiece views. In addition to the observing programs, they have special yearly awards to recognize members “who have advanced the goals of the Astronomical League.” It’s just been revealed that, thanks to the generosity of Astronomics, a new addition has been added to the awards — one aimed for astronomical sketching! 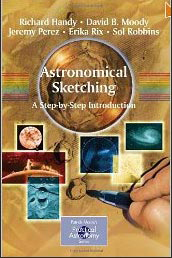 Make sure to check out the AL’s Astronomics Sketching Award webpage for eligibility requirements and rules. You must be a member of the Astronomical League to enter a submission. Also, you don’t need to be an artist to sketch at the eyepiece! 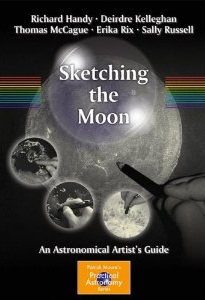 The Cloudy Nights members are more than happy to help you get started in the Sketching forum. So what are you waiting for? Grab those pencils and submit your entry. Good luck! Despite the daytime observing session, Venus and the Moon were in full view with the unaided eye. The animation below was created using a sequence of sketches drawn at the eyepiece on black Strathmore Artagain paper and a combination of white watercolor pencil and Conte’ crayon and a black oil pencil. Rough blending was achieved with my fingertips and fine blending with a paper towel. I photographed the sketches and then used Adobe Photoshop CC 2015 to swap out the black color of the paper for a bluish background to better represent the eyepiece view. Blue paper would have been the better option but I had none none on hand. 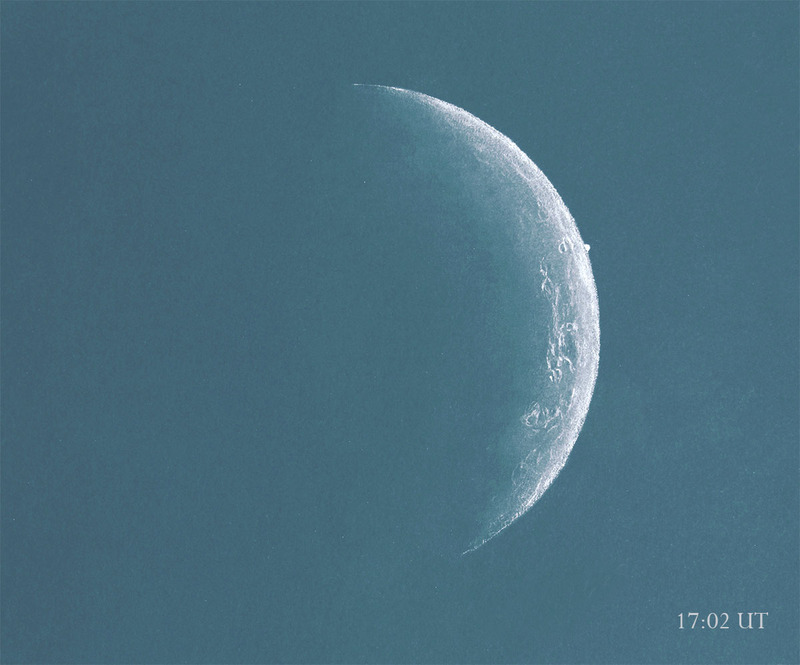 The orientation is as seen through my refractor. This interesting prominence doubled in size and then finally broke free of the limb. The time sequence spanned over 5 hours. Northeast prominence at 30-degree position angle. Internally double-stacked Coronado Maxscope 60mm H-alpha telescope 400mm focal length, LXD75, Baader Planetarium Hyperion 8-24mm Mark III set at 8mm, 50x magnification. Sketched with white Conté crayon and pastel pencil, white Prang color pencil, and black Strathmore Artagain paper. I drove to Leander, TX, this morning to catch the ISS lunar transit. This is the field sketch, mirrored and rotated to match standard orientation. The sketch was a quickie compared to the phase sketches I typically do, but I wanted to ensure the ISS wouldn’t be lost in the detail. The ISS crossed the lunar face in less than half a second, starting near the craters Steinheil and Watt. It then passed near Encke before crossing the NW limb. 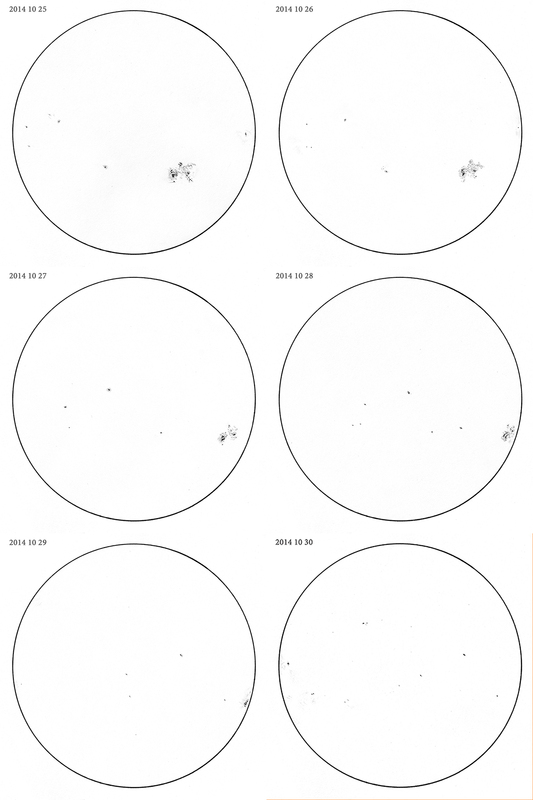 I re-familiarized myself with the guidelines from Alan Strauss’ ISS solar transit observation in 2011. 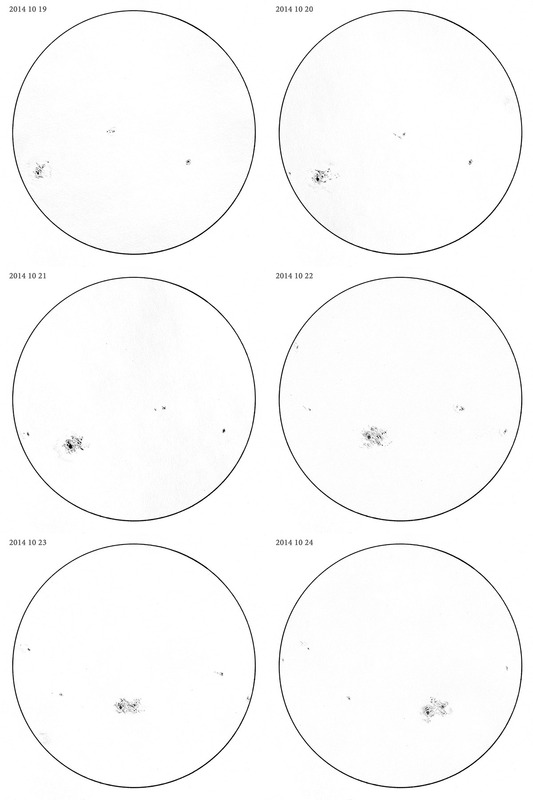 You can view the report and sketch on his site, Lost Pleiad Observatory. Before leaving the house, I rechecked the ISS flight path and its central line for passing in front of the Moon. CalSky is a great program for this. On my iPhone, I used GoSatWatch and set alerts for 5 minutes before the pass and another for when the pass began. The sketch was started almost an hour before the pass. So that the ISS wouldn’t be lost within the abundance of lunar terrain, the majority of detail was omitted from the sketch. Once the first alert went off, I stopped sketching and prepared myself for the pass. My observing partner, Freckles (my dog), was put back in the CRV so that I could focus solely on the view. The transit would last only a fraction of a second and in that time, I wanted to note: where it entered, the flight path, and where it excited; color and luminance; shape, size and orientation; and viewable panels and modules. The second alert sounded and within moments, the ISS made its transit. I was surprised to see that it was a glowing white color (expected a silhouette) and what appeared to be a shadow on one side of it. It seems I may have caught a module and one of the solar arrays. The shadow was most likely another solar array or the shadowed area of the module. As for the orientation, it was offset a little from its path, but things happened so suddenly that I’m not certain I’ve recorded it accurately. My focus was more on the overall shape and the shadow of the ISS. With each ISS pass, it’s an ongoing endeavor to improve my observing and sketching skills for the next time!